Christmas. It's the one day in the year you either really love or really hate. But what do you do after you've unwrapped all your presents and stuffed your face? Pack a bag ready for this five-night mini cruise aboard P&O Cruises' Aurora if you get your skates on. Get Christmas on Tuesday and Boxing Day on Wednesday out of the way. Then start packing and head to Southampton port on Saturday 29th December 2018 where you'll board your ship. The itinerary crams in a day in Belgium and two in Holland, as well as a day at sea, so unlike on the really short mini cruises where time is of the essence, you can afford to relax and unwind on your first afternoon onboard the ship. Tour your new home-from-home, enjoy a drink or two, chow down dinner, and take in the evening entertainment. Zeebrugge is your first stop, and you really should make a beeline for Bruges, just a short bus or train ride away. The Christmas holidays in Bruges are simply magical. Wrap up warm and head down to the annual Christmas Market in Grote Markt - it really is a highlight. Bruges is also the chocolate capital - remember, the diet can wait until the 4th January when you disembark the ship! Sail again overnight and arrive in Amsterdam. An overnight stop is schedule here, meaning the ship will spend the night docked rather than out at sea. 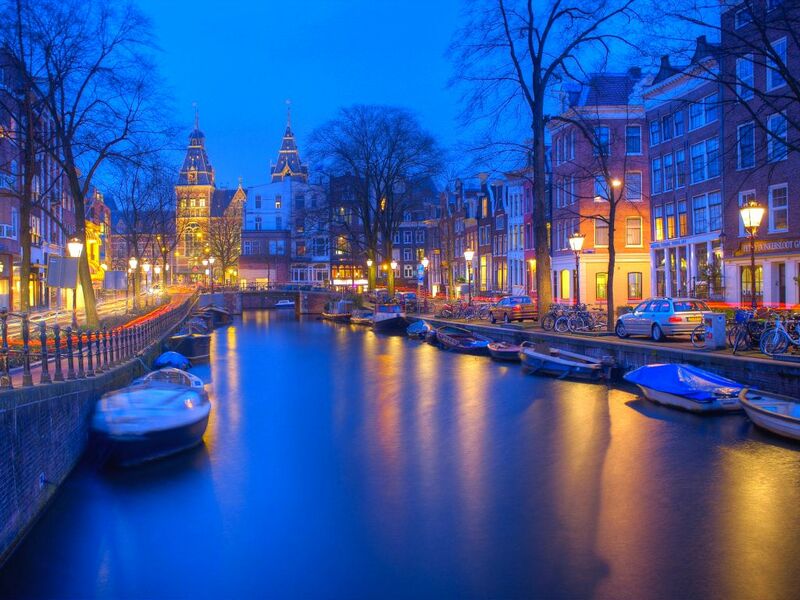 This means you can experience Amsterdam's legendary nightlife, on New Year's Eve no less. Amsterdam really knows how to celebrate New Year, and you will be in for a treat as you spend a night docked in the city. Kick start 2019 the Dutch way. You'll arrive early in the morning on Monday 31st December 2018 and leave in the evening on Tuesday 1st January 2019, so you'll have plenty of time to explore Amsterdam or recover from a sore head if it all gets a bit too much welcoming in 2019. I expect the Wednesday to be a quiet day. It's a sea day as you sail back to Southampton, so you can do as you please. Sleep off the partying, treat yourself at the spa, wrap up warm and watch the sea go by (no chance of lounging underneath glorious sunshine on the Channel in January! ), or take part in the entertainment offered throughout the day. Sadly, Thursday morning will roll in far too quickly when it's time to disembark in Southampton. This is one of the last family-friendly cruises Aurora will be sailing. From April 2019, Aurora will become an adults-only ship. This cruise takes place over the Christmas break, when most schools are shut. This is a family-friendly ship so is a great way to cram in a short family holiday while the kids are off school.